After a slow March, thanks to Mercury retrograde, you’ll feel back in your usual groove. Mercury is moving forward once again, and with the Sun in “let’s get going!” Aries at the start of April, you may feel tempted to zoom ahead. But hold on just a little longer! From April 1 through 5, the Moon will be at the close of her monthly cycle as she moves through the balsamic Moon phase. That’s the quietest, most dreamy and mysterious of all the Moon’s many phases – and the best for meditation and introspection. If you wait until the new Moon of April 5, you’ll find that things move much more to your liking, and you can make all the new starts you wish. It’s birthday time, and you’re probably feeling much more energized compared to much of March. Hooray, Aries! With the Sun moving through your sign, Aries, enjoy your greater vitality and have fun being more active. Target April 5 to get going on anything related to health and body, from a new workout regimen to a makeover to a character review and personality polishing. This period also supports starting any new project that’s dear to your heart. So shake off last month’s languor and fire up an initiative that puts your passion on display. On April 20, the Sun leaves Aries for money and value minded Taurus. Time for you to shift gears and focus on how you earn, spend, and save. If you want to improve your finances, start by reviewing spending and creating a budget that not only covers the bills but helps you save regularly. If you need more money, look for extra work, start building your case to request a raise, or research new jobs that pay more. Consider the value you bring to your job and whether your earning reflects that contribution. If you have your own business, evaluate your clients and accounts receivable. Fine tune invoicing, follow up on past due accounts, and seek new leads and projects. The full Moon on April 19 will be the second in a row in loving, lovely Libra. Use clues from that period to guide you this time. You may learn important news related to marriage, a business partnership, or a close relationship. Your spouse or a competitor may have an “aha!” moment that takes your bond to a new level. Pay attention to any information revealed during this time. 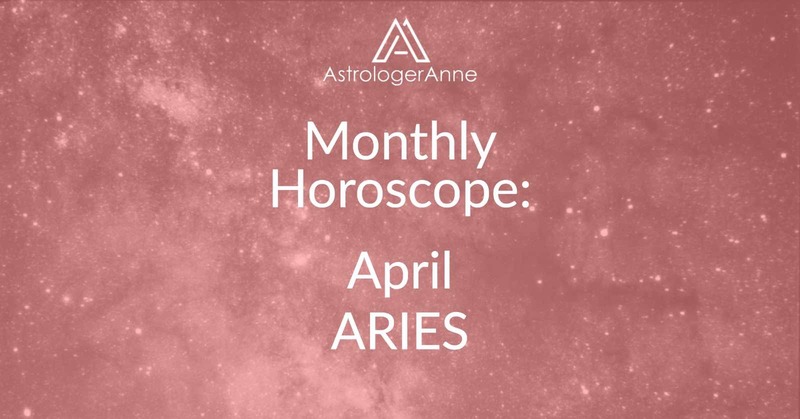 Have a happy April, Aries! I wish you a wonderful month!